First 50 customers using promo code “IWASFIRST” will receive 50-70% OFF their entire order. Next 50 customers to use promo code “CHEEE” will receive 40-60% OFF their entire order. Then we will be running a 25-50% OFF promotion for all of our defenders that missed the early specials. Just use promo code “HAPPHOLIDAYS” before checking out. It looks like we’ve got a new collection of Headwear for the 2105 Holiday season. Along with our brand new “ALOHALIFE” beanies (that are available now @ shop.defendhawaii.com) we’ve got a new “ALOHALIFE” snapback. Stay tuned for the release dates of our new Headwear collection. Continue to support local and always Defend Hawaii! With TMT construction crews expected to return to Mauna Kea later this week, things are getting really blurred around here. The state Department of Land and Natural Resources has issued news media guidelines for journalists and photojournalists who plan to report on efforts to resume work on the $1.4 billion Thirty Meter Telescope on Mauna Kea. 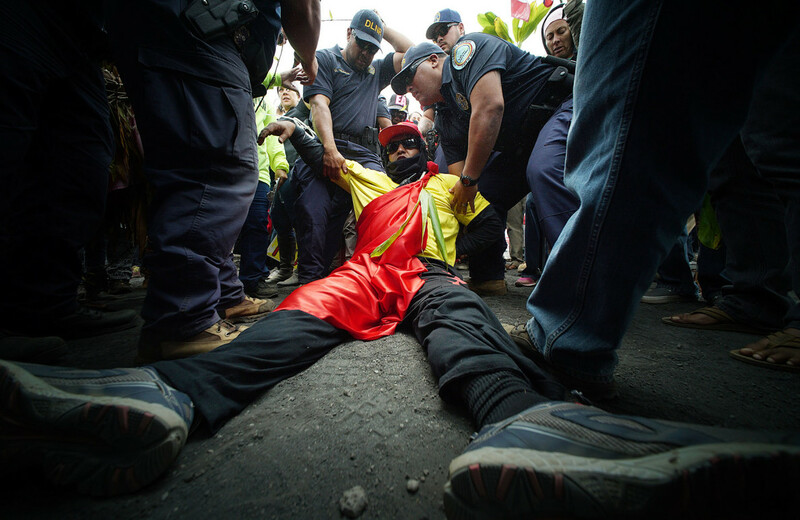 The DLNR said the guidelines, which were developed in collaboration with the Governor’s Office, Office of the Attorney General, and the Department of Public Safety, are intended to ensure the safety of reporters, photographers and videographers. But some of the rules have been criticized by news media advocates who say the the guidelines raise concerns about freedom of the press. On the evening of 13 November 2015, a series of coordinated terrorist attacks—consisting of mass shootings, suicide bombings, and hostage-taking—occurred in Paris and in the northern suburb of Saint-Denis. Beginning at 21:20 CET, there were three separate suicide bombings outside the Stade de France along with mass shootings and another suicide bombing at four different locations near central Paris. The deadliest of those attacks took place at the Bataclan theatre, where attackers took hostages before engaging in a stand-off with police which ended at 00:58 on 14 November. The Islamic State of Iraq and the Levant (ISIL) claimed responsibility for the attacks. 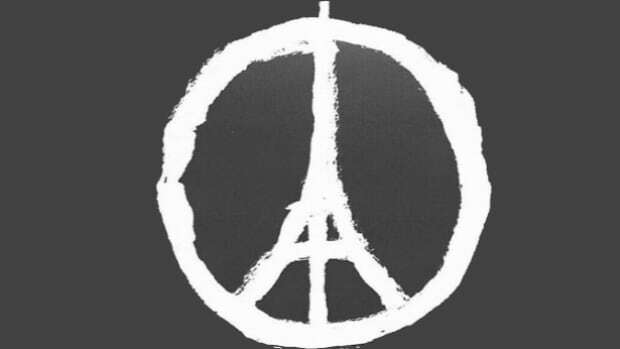 129 victims were killed, 89 of them at the Bataclan theatre. Another 433 people were admitted to hospital with injuries sustained in the attacks, including 80 described as being critically injured. In addition to the victims, seven attackers died, and the authorities continued to search for any accomplices remaining at large.The attacks were the deadliest in France since World War II,and the deadliest in Europe since the Madrid train bombings in 2004. In response, French President François Hollande announced a state of emergency, the first since the 2005 riots, and placed temporary controls on the country’s borders. He also placed Paris under the first curfew since World War II. People and organizations expressed solidarity including through social media. Hollande declared the attacks as “an act of war”. On 15 November, France launched its largest single airstrike of Opération Chammal, its contribution to the anti-ISIL bombing campaign, by striking targets in Al-Raqqah, Syria, in retaliation for the attacks. Prior to the attack, France had been bombing various targets in the Middle East, including Syria, since October 2015. ISIL’s motive was retaliation for French involvement in the Syrian Civil War and Iraqi Civil War. In the weeks leading up to the attacks, ISIL had claimed responsibility for several attacks, such as twin suicide bombings in Beirut two days earlier, and the crashing of Metrojet Flight 9268 on 31 October. France had been on high alert since the January 2015 attacks in Paris that killed 17 people, including civilians and police officers. New “ALOHALIFE” Beanies will be releasing online @ shop.defendhawaii.com & in select Defend Hawaii stockists worldwide. The new “ALOHALIFE” beanies will be featured in both black & white color ways. Off of his album titled The Ultimatum, Hawai’i based emcee and Flip The Bird label mate Creed Chameleon created this underground smasher featuring Geo (Blue Scholars) and Bambu (Native Guns). The smooth production is supplied by Osna, also based out of the 808. The album is available now Itunes. Welcome back to another segment of our Defend Hawaii Retailers. Today we will be taking a trip down to the island of Hawai’i aka Big Island to visit our good friends at Oshima Surf and Skate. The above photo was taken outside of the Oshima Surf and Skate located in Kona. 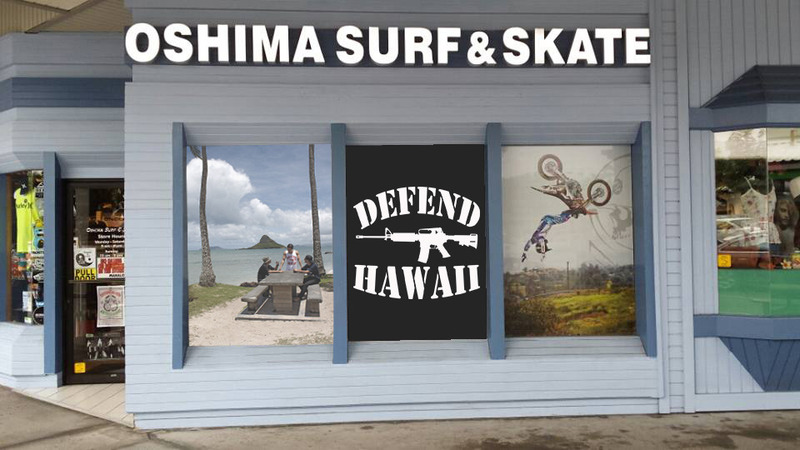 With over 4 stores spread across the Big Island, Oshima’s is your biggest carrier of Defend Hawaii apparel. Stocked with some of the best surf and skate brands of our time, Oshima’s is a locally run store that houses local brands as well. It’s always awesome to see locals supporting locals. Be sure to check them out in any o1 of their 4 locations. Check out the address’s below for more information on which Oshima shop is near you. Tune into the 1:25:17 mark to view the interview with Louis Smolka, UFC Flyweight fighter, Team Hawaii Elite MMA & Defend Hawaii representative. 1 p.m. ET — Our own Dave Meltzer will recap a busy weekend in MMA. 1:25 p.m. — Stephen Thompson will talk about what’s next after the UFC scrapped his fight against Neil Magny. 1:45 p.m. — Ryan Bader will discuss his UFC on FOX 18 main event fight against Anthony Johnson. 2:05 p.m. — Legendary boxing trainer Freddie Roach will discuss his time with Georges St-Pierre recently. 2:25 p.m. — Louis Smolka will talk about his UFC Dublin win over Paddy Holohan and what’s next. 2:45 p.m. — Royce Gracie will talk about coming out of retirement to fightKen Shamrock a third time on Feb. 19. 3:05 p.m. — UFC veteran Alan Belcher will discuss why he announced his retirement last week. 3:25 p.m. — UFC welterweight Erick Silva will join us in studio to discuss his career and what’s next for him. 4:05 p.m. — We’ll answer your #themmahour questions on anything and everything going on in the MMA world. Hit us up on Twitter using that hash tag or leave a question in the comments section below. Plus, we’ll be taking your calls on anything and everything. Got a question or comment? Give us a call at 1-888-418-4074. The culmination of a dramatic year on the World Surf League tour all comes down to one prestigious series: the Vans Triple Crown of Surfing on the North Shore of Oahu, Hawaii. More than the money, the most coveted titles and points are up for grabs in the series, including the esteemed 2015 Samsung Galaxy World Championship Title and a shared prize purse of nearly 1.2 million dollars. The competition begins Thursday, November 12. Along with the world title, there are the hotly contested individual titles that will be awarded to the champions of: the Vans Triple Crown; the Hawaiian Pro; the Vans World Cup of Surfing; and the Billabong Pipe Masters. With the potential of bringing a handful of new faces to next year’s Samsung Galaxy Championship Tour, the Hawaiian Pro and Vans World Cup of Surfing play an integral role in securing game changing points for qualification, heating up the race for the final battle at the legendary Billabong Pipe Masters. 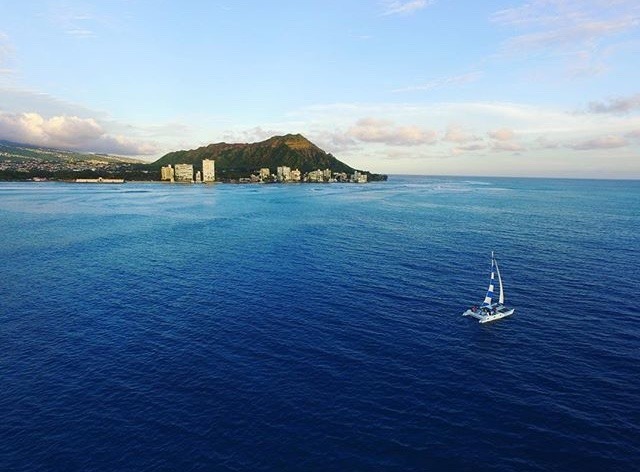 Now in its 33rd year of distinction, the three-event series is the longest running and most respected celebration of professional surfing in the world, representing a history deeply rooted in Hawaii’s intrinsic and cultural sport of surfing. Twenty-seven of the Top 34 men of the WSL Samsung Galaxy Championship Tour have signed up for all three Vans Triple Crown of Surfing (VTCS) events, including Gabriel Medina (BRA), John John Florence (HAW), Julian Wilson (AUS), Michel Bourez (PYF) and Nat Young (USA). Current Jeep ratings leader Mick Fanning (AUS), and 11X world champion Kelly Slater (USA) will arrive in time for the Billabong Pipe Masters only. After the completion of the official local qualifier for the Vans Triple Crown – the HIC Pro – in exceptional, large surf last Saturday, the North Pacific has entered a restful spell. Anticipation is high for the next Pacific pulse of big surf that will set the stage for this battle royale. Hawaiian Pro, Haleiwa (November 12 – November 23) – 128 surfers compete for the $250,000 prize purse at Haleiwa, a fickle surf break that is known to deliver powerful walls for high performance surfing. Vans World Cup of Surfing, Sunset Beach (November 24 – December 6) – Also featuring 128 surfers and a $250,000 prize purse, the Vans World Cup of Surfing takes place at one of the moschallenging big waves on the planet. The Pipe Masters Invitational – This specialty event offers 26 local Pipeline chargers, plus 6 wildcards, the chance to compete for a $100,000 cash prize purse as well as two spots into the most coveted gem of the series: the Billabong Pipe Masters. Women’s Pipe Specialty Event – An invitational for four of the World Surf League’s top ranked women to share the most globally televised pro surfing stage in the world, the Women’s Pipe Specialty Event offers a $10,000 prize purse. Billabong Pipe Masters, Pipeline (December 8 – December 20) – The final stop on the WSL Samsung Galaxy Championship Tour, this event boasts a staggering $525,000 prize purse and ground-shaking performances at the world’s best barreling wave, Pipeline. Vans Triple Crown Bonus – A $50,000 cash bonus will be awarded to the Vans Triple Crown of Surfing champion – the top performing surfer across all three events that comprise the series.